Using the Alfred Beginning Piano Course book, students will be introduced to the basics of music notation as well as proper hand and finger technique. The class will be taught on our 88-key Yamaha digital pianos, which contain 500 sampled and synthesized sounds. A home piano or keyboard is recommended for practice. Limited to 4 students per class, book included. This program is filling quickly – please contact us to register! This class is for the beginning student with no prior experience. Using the Alfred Beginning Group Piano Method book, students would learn the basics of music notation, finger technique, hand position, counting and rhythms, and group ensemble performance. 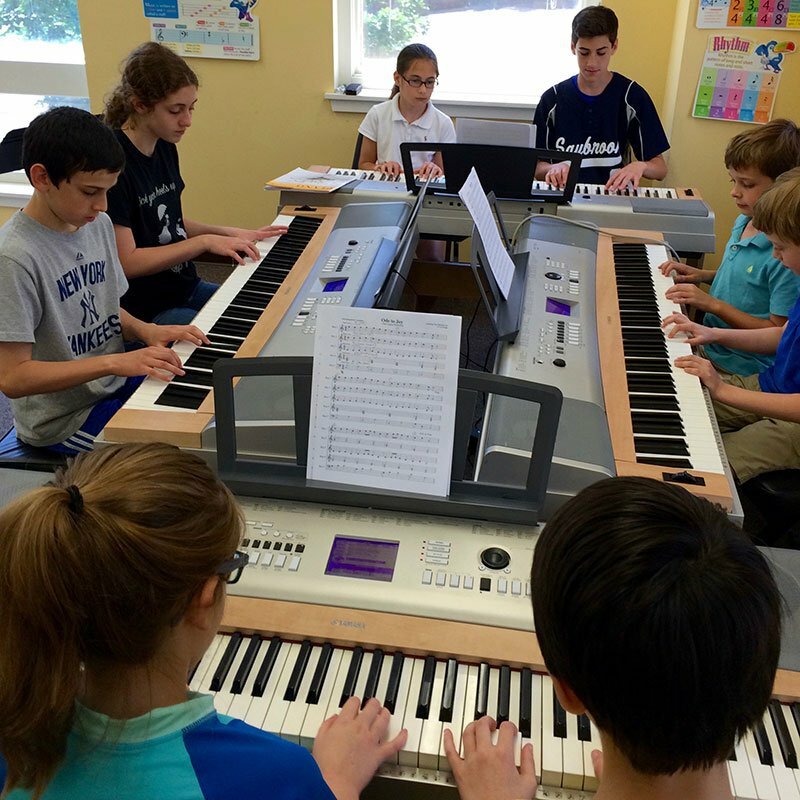 The class will be taught on our Yamaha 88 key digital pianos that feature over 500 sounds! Contact us if interested in this program! Explore the unique capabilities of our exciting new state-of-the-art YPG Yamaha digital pianos and perform creative musical arrangements that are tailored for the group level. Musical styles range from classical to jazz to popular music, and kids songs. Reinforce note reading and an understanding of chords, clefs, and rhythms while exploring the contemporary digital sounds. Students will be grouped by experience. Contact us if interested in this program!